Buckingham Mansion originally built 1902. A 3-Story Mapleton Hill Estate that shines the light on blending historic master craftsmanship details with clean lines and elegant and luxurious finishes. Passionately remodeled in 2014, elevating & creating one of the most beautiful homes in downtown Boulder&apos;s historic district. 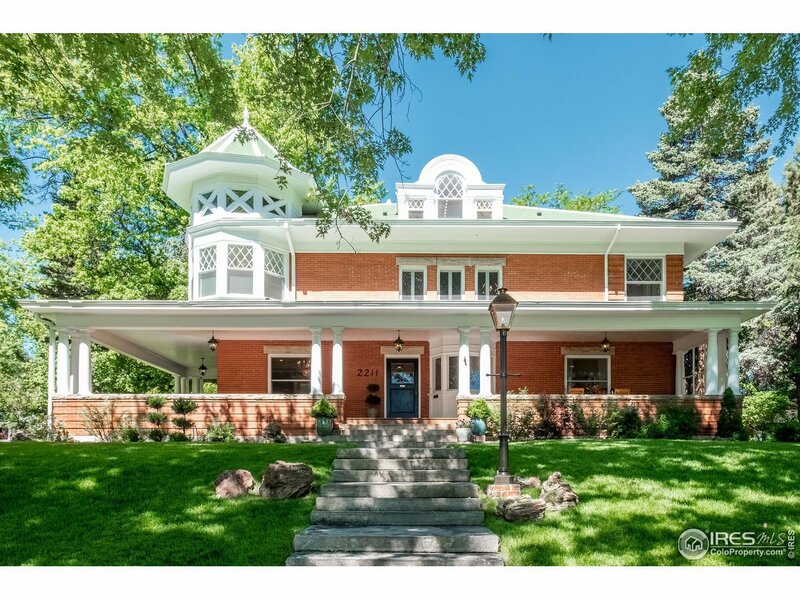 Commanding visual attention, window filled corner tower, Palladian dormer windows, spacious wraparound porch on a triple corner lot w/ mature trees, gracious & inviting.